Is there a short cut to activate the S voice option? 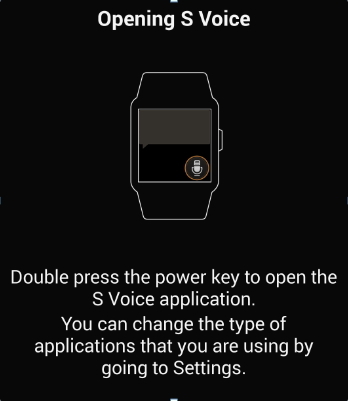 Double tap the power key on the Galaxy Gear display and this will take you to the S Voice option where it will request what you would like to do. You can command the Galaxy Gear to do a number of actions.